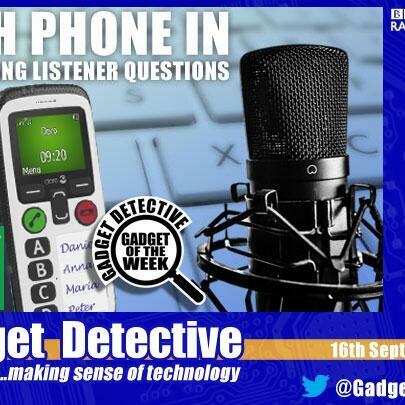 The Gadget Detective joins Dotun Adebayo on BBC 5 Live for the regular Tech Help Phone-in. From smartphones & tablets, to dealing with malware & protecting your privacy, our resident expert, Fevzi Turkalp has all the tech advice you need to choose the best tech for your needs & keep your existing gadgets running smoothly. Plus the Gadget of the Week is the Doro Secure 580 IUP mobile phone, a phone designed for the infirm or vulnerable, offering an array of features designed to make life easier and safer.